Changes will be made to the CPCS Tower Crane and Pedestrian Operated Tower Crane categories later this month, following feedback from a review by an industry-led working group during 2016. As from 25th November 2016, the CPCS Pedestrian Operated Tower Crane category (A63) will be retired and replaced with a Remote Controlled Trolley Jib endorsement for the CPCS Tower Crane category (A04C). 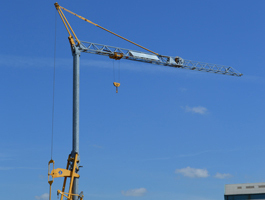 If you are planning to obtain Pedestrian Operated Tower Crane on your CPCS card, take in mind that after the changeover date you will now need to take the theory and practical tests for A04C instead. If you already have Pedestrian Operated Tower Crane on your CPCS card, A04C will be automatically awarded the next time you renew or upgrade the card. HR Training & Development Ltd can provide your training needs with CPCS plant training and testing, as well as Plant NVQs. If you need further information and guidance, feel free to phone our friendly sales team on 0333 301 3000 or contact us here.